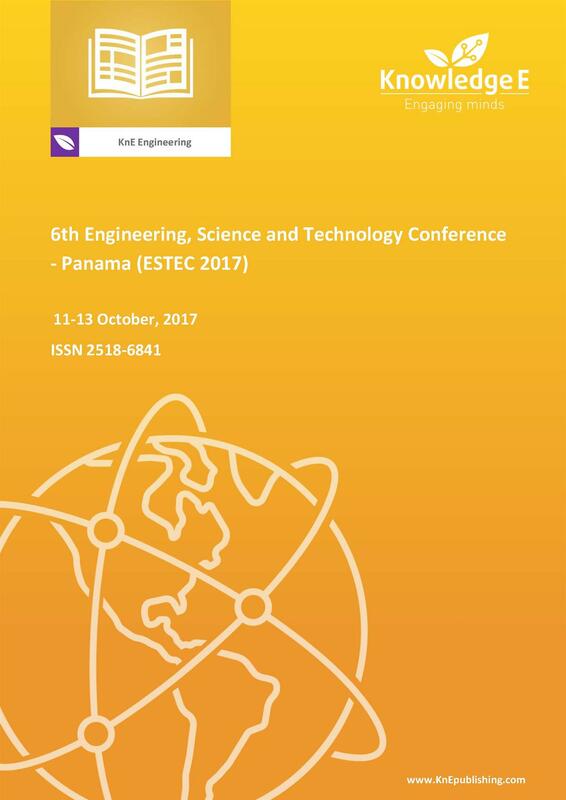 The 6th Engineering, Science and Technology Conference (ESTEC 2017) organized by the Universidad Tecnologica de Panama (UTP) is the most relevant engineering-based conference in the country. The conference included technical tours to the Cocoli Gate and the Miraflores Visitors Center of the Panama Canal and to the Wind Power Park in Penonome, Panama. Conference topics: Agroindustry; astronomy; bioengineering; education on engineering, energy, and environment; ICT engineering; infrastructure and construction; logistics and transportation; manufacturing processes and material science; and robotic, automation and artificial intelligence. Comunicación y transferencia en la co-gestión del hábitat local: el Proyecto "Hábitat 2"
Aniela Garay Sianca,	Sarah G. Nurre,	Carlos L. Castro Salas,	Humberto R. Alvarez A.
Licda. Yahaira Espinosa,	M.Sc. Jorge Olmos,	Dr. Cecilio Hernández B.
Monitoreo de la Actividad Física a Partir de un Modelo Basado en Redes Neuronales, con Dispositivo "Wearable"